If you have ever felt self-conscious about your smile, you owe it to yourself to ask your Gahanna Invisalign dentist about the benefits of clear aligners. Like the name suggests, Invisalign is a nearly invisible aligner that is designed to fit over your teeth and move them little by little for a better bite and smile. Before you begin Invisalign treatment, you’ll have a consultation with your family dentist to determine if Invisalign is the right choice for your smile. In this blog post, the Gahanna dentist at Pure Dental will go over the most frequently asked questions we get from patients so you can walk into your consultation feeling prepared and confident. If you have a question that doesn’t appear here, we encourage you to reach out to an Invisalign dentist near you. How does Invisalign work to straighten teeth? Invisalign are clear aligners that fit over your smile and exert enough pressure to move teeth little by little. During your dental treatment, you will wear a series of aligners. Each aligner is worn for about two weeks before it is replaced by the next one in the series. Your dentist will plan your treatment by using 3D computer imaging technology. That way, you can see how each set of Invisalign aligners brings you closer to straighter teeth and a beautiful smile. Invisalign aligners exert pressure on your teeth to move them little by little. As a result, you will experience dental discomfort when you first start wearing a new aligner. This feeling of pressure will go away after a couple of days of wearing the new aligner. Many of our adult patients appreciate that Invisalign is more subtle than traditional metal braces. Since the aligners are nearly invisible, your family, friends, and co-workers shouldn’t even notice the aligners unless they are standing very close. Invisalign aligners can also be a good choice for teenagers who feel self-conscious about how they may look with metal braces. Unlike traditional braces, dental aligners are removable so you can continue eating your favorite foods. Invisalign aligners also make it easy to maintain your normal oral health routine because you don’t have to brush and floss around wires and brackets. According to the manufacturer, the cost of Invisalign aligners runs between $3,000 and $8,000. Keep in mind that this range may or may not reflect the cost of your treatment. For a more accurate estimate, we recommend scheduling a consultation with an Invisalign provider. Most dentists offer payment plans for Invisalign so the total cost is broken down into affordable monthly payments. Most adult patients wear Invisalign for 12 months to get the results they want. How long your treatment takes will depend on the difficulty of your case and how you want your teeth to look at the end of treatment. How often do I need to schedule appointments during Invisalign treatment? You’ll need to see your dentist every 4 to 6 weeks during Invisalign treatment. During your appointment, your dentist will check to make sure your teeth are moving according to schedule. Your dentist will also give you your next set of aligners. Since you won’t have wires or brackets, you can expect an Invisalign appointment to go faster than one for braces. How many hours a day do I have to wear Invisalign aligners? You’ll need to wear your Invisalign aligners 20 to 22 hours a day. Only remove your aligners when you are eating, brushing, or flossing. Are there certain foods I shouldn’t eat during Invisalign treatment? No. Invisalign dental aligners are removable, which allows you to continue eating your favorite foods. However, you will need to brush and floss your teeth after eating so your clear aligners don’t stain. What are alternatives to Invisalign? Alternatives to Invisalign include Pro-Sys aligners and MTM clear aligners. We recommend consulting with your dentist to determine the best clear aligners for your smile. Dr. 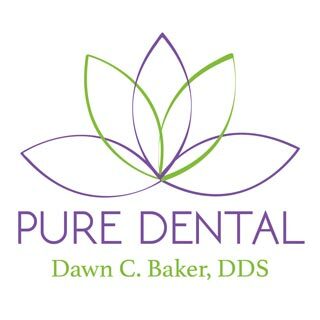 Dawn Baker DDS at Pure Dental is dedicated to making sure her patients achieve their best smiles by offering a range of cosmetic dental services. If you are interested in learning if you are a candidate for Invisalign treatment, call us at (614) 475-7580. Copyright © 2019 DDS. All Rights Reserved.